The River Skirfare is a tributary of the River Wharfe, entering the main river near the village of Kilnsey. The source of the river is at the head of Littondale, at Halton Gill, becoming the River Skirfare when Halton Gill Beck and Foxup Beck merge. 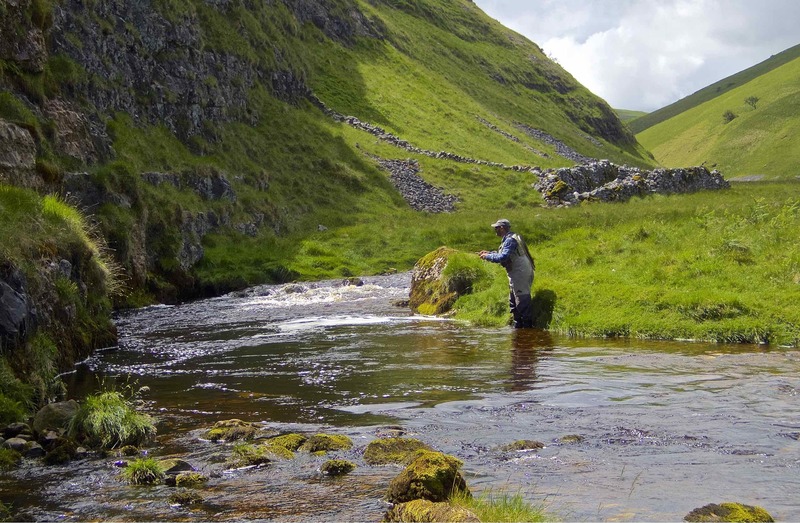 Other small tributaries enter the river on its journey down Littondale towards the Wharfe, the most notable of these being Cowside Beck, a favourite of north country angling author Laurence Catlow. Like many of the Yorkshire Dales rivers it is influenced by limestone, making the water very rich in invertebrates and thus leading to a fast growth rate of its fish. The Skirfare doesn't have such a large population of trout, but they are of a high average size. The Skirfare is a challenging, clear river, for large, difficult, wild brown trout. It is not a river for the inexperienced flyfisher, moreover, it is a river to test your fly fishing presentation skills, your casting, observation, fly selection and rivercraft. The River Skirfare is a short river, being only about 9 miles long from source to where it meets the River Wharfe just above Kilnsey. It flows through Littondale, a valley off Wharfedale heading northwest to Pen-y-ghent, the smallest of the famous Three Peaks. The scenery hereabouts is nothing short of spectacular. Fishing is centred around the tiny village of Arncliffe, the original setting for Emmerdale Farm. Littondale is a picturesque valley, very quiet and almost forgotten; most people just glance sideways as they drive past the end of Littondale through the hugely more popular Wharfedale valley. Fly fishing on the River Skirfare is almost entirely dry fly to sighted fish. This is not an imposed rule, just the way to fish such a small, clear river, for the spookiest of trout! Limited numbers of day tickets are sold from the Falcon Hotel in Arncliffe.